The Electricity Balancing Guideline is about creating a market where countries can share the resources used by their transmission system operators to make generation equal demand always. It is also about allowing new players such as demand response and renewables to take part in this market. All in all, the Balancing Guideline should help increase security of supply, limit emissions and diminish costs to customers. The published network codes become regulations. Use this section for a handy way to jump to a particular article of the network code. The Platform for the International Coordination of Automated Frequency Restoration and Stable System Operation (PICASSO) is the implementation project for the establishment of the European aFRR-Platform. The International Grid Control Cooperation (IGCC) is the implementation project for the establishment of the European IN-Platform. The Trans-European Replacement Reserves Exchange (TERRE) is the implementation project for the establishment of the European RR-Platform. The Manually Activated Reserves Initiative (MARI) is the implementation project for the establishment of the European mFRR-Platform. 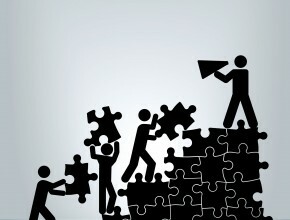 The common market for procurement and exchange of FCR (FCR Cooperation) aims at the integration of balancing markets. Below you will find the Frequently asked questions relating to the network code Electricity Balancing. Electricity Balancing is one of the key roles of Transmission System Operators where they act to ensure that generation equals demand in real time. This is vital for ensuring security of supply and has an important bearing on costs to customers. The potential for balancing resources to be effectively shared between countries can enhance security of supply and reduce cost, hence there is a strong rationale for developing cross border balancing markets. The network code on Electricity Balancing will ensure that the correct framework will be put in place for this to happen. An updated draft of the Electricity Balancing guidelines will be discussed in the next electricity cross-border committee. Use the link below to view the EC draft version sent to the electricity cross-border committee in October 2016. On 22 July 2015, the Agency for the Cooperation of Energy Regulators, ACER, recommended the Network Code on Electricity Balancing for adoption. On 23 December 2013, ENTSO-E delivered the Network Code on Electricity Balancing (NC EB) and Supporting Document to the Agency for the Cooperation of Energy Regulators (ACER). ACER provided its reasoned opinion on the Network Code on 23 March 2014. ENTSO-E studied the reasoned opinion in detail. On 16 September ENTSO-E submitted a new version of NC EB, together with explanatory documents. Based on this resubmission, ACER issued a recommendation to adopt the code, along with amendments proposals. With a few exceptions, the NC EB is perfectly in line with the Framework Guidelines on Electricity Balancing. These exceptions, such as the implementation deadline for the European integration model, are motivated by ENTSO-E members experience as grid operators, and by their commitment to delivering ambitious but realistic codes. The NC EB is a crucial piece of work that will greatly enhance Europe’s security of supply. By harmonising electricity balancing rules, trading of balancing resources between European TSOs will be facilitated; leading to a more efficient use of resources available, a reduction of costs and an increase in security of supply. Given the complexity of balancing, its key role in European security of supply, and the low level of current European harmonisation, the NC EB is one of the most forward looking and ambitious network code so far. ENTSO-E would like to thank all stakeholders who provided valuable contributions to the process, as well as colleagues from the European Commission, ACER and National Regulatory Authorities for the constructive cooperation during the development of NC EB. The documents are available for download in the Related Documents and Links section below. The Network Code will now be prepared by experts from the European Commission before it enters the Comitology process, through which it should become European law. ENTSO-E will assist both ACER and the European Commission in any way throughout this process in order to contribute to a smooth adoption. Reporting on the experience gained. 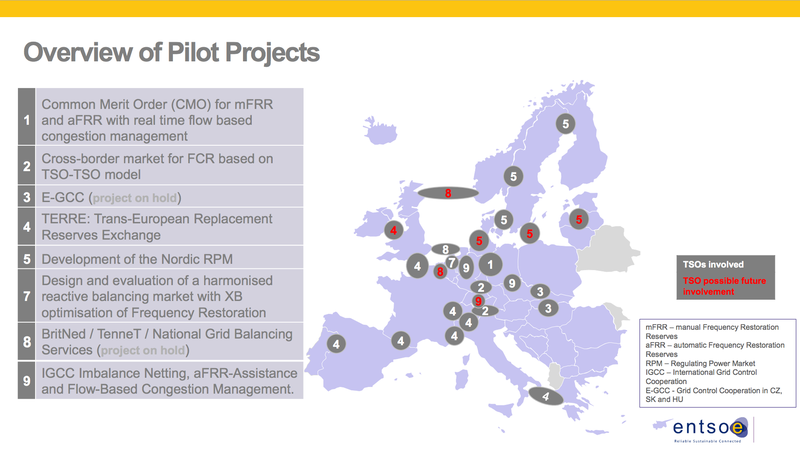 More information at Cross Border Electricity Balancing Pilot Projects. ENTSO-E also started working on other aspects of the ambitious path towards harmonised balancing markets in Europe. 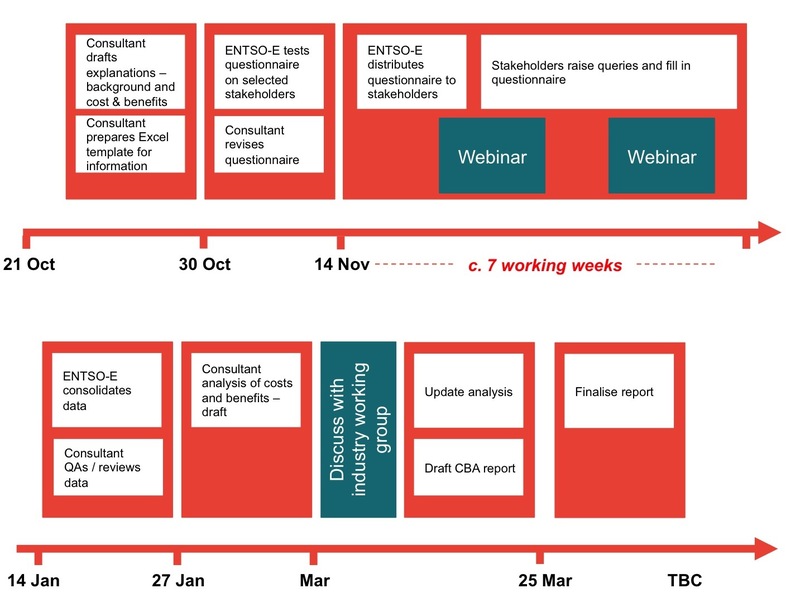 In March 2015, ENTSO-E launched a public consultation on the methodology for Cost Benefit Analysis. From 16 June to 16 August 2013, ENTSO-E held a public consultation on the draft Network Code on Electricity Balancing (NC EB). By the end of the nine-week consultation period, more than 40 stakeholders had submitted a total of 2178 individual comments via the web-based consultation tool. ENTSO-E’s stakeholder engagement comprises of Stakeholder Advisory Group Meetings and Public Stakeholder Workshops, as well as ad-hoc meetings and exchange of views with any interested party as appropriate. The Electricity Balancing Stakeholder Advisory Group (EBSAG) members represent all relevant parts of the industry as well as consumers, to enable efficient and effective discussion on the process and content of the Network Code on Electricity Balancing. The EBSAG member organisation list may be viewed here and the Terms of Reference here. ENTSO-E has hosted a total of four EBSAG meetings and three public stakeholder workshops on the NC EB. The latest public workshop was held in Brussels on 23 October to present and discuss the feedback received during the public consultation. This also served as an opportunity to discuss the changes made to the code in response to stakeholder feedback. All material, including minutes and presentations from meetings are made public. ​​​​​​​​Electricity balancing is crucial to ensure security of supply and has an important bearing on costs for consumers. Compared to other electricity market timeframes, balancing markets represent only 2-3% of the total turnover volume of wholesale markets; nevertheless, in a recent report commissioned by the European Commission, the potential gains are shown for balancing resources to be effectively shared between countries, enhancing security of supply and reducing costs, whilst using resources more efficiently. This represents a strong rationale for developing cross border balancing markets. Moreover, a cross border balancing market will help to counteract the effects of intermittent generation and allow the integration of more renewable energy sources. While the integration of the European energy markets follows rather clear target models – as for capacity allocation rules set out in the binding guidelines on Capacity Allocation and Congestion Management (CACM) and the Network Code on Forward Capacity Allocation (NC FCA) – different kinds of balancing services have not yet been detailed. The ENTSO-E Survey on Ancillary Services Procurement and Balancing Market design, published in 2012, shows the diversity in current balancing markets and highlights the challenge for harmonisation. The future Network Code on Electricity Balancing (NC EB) will lay out the processes for developing market based co-operation and implementing the steps towards regional and European integration which will, in turn, allow for the achievement of efficiency gains while also maintaining operational security. To test the feasibility of the different milestones in the draft Network Code on Electricity Balancing and to test the impact of the long term target.The scope of the feasibility analysis includes issues such as regulatory changes, analysis of changes made to existing processes, and impact on the design of existing markets as well as any operational impacts. The following reports include the main information regarding each pilot project and include a description of the implementation of targets relevant to the Network code on Electricity Balancing (NC EB). Alongside these updates on additional achievements are also listed. A list of contacts from TSOs/ENTSO-E and NRAs/ACER for Pilot Projects is available. The TERRE project is currently the leading pilot project for Replacement Reserves and aims to explore the feasibility of concepts contained in the Electricity Balancing Network Code. The event attracted an audience of over 50 stakeholders, consisting of market participants, National Regulatory Authorities and interested parties from across Europe. There was a good level of engagement and audience participation throughout the day, with positive feedback from stakeholders. TSOs will look to organise subsequent stakeholder events as the project progresses through its design phase. The first workshop on this pilot project took place on 1 February 2013 and was attended by representatives from market parties, regulators and authorities from the Netherlands and Belgium. On June 13th of 2014 TenneT and Elia organized a second stakeholder workshop to present and discuss the intermediate findings of Step 2. Application of a TSO-BSP model (Article 41(2)): CBA to identify the efficiency of the application of a TSO-BSP model for at least the control area or scheduling area for the relevant TSOs. In addition, the Agency for the Cooperation of Energy Regulators (ACER) proposes that its recommendation on the Imbalance Settlement Period is assessed by a cost benefit analysis to be undertaken by ENTSO-E before the NC EB enters the Comitology process. In addition, the Agency for the Cooperation of Energy Regulators (ACER) proposes that its recommendation on the Imbalance Settlement Period is assessed by a cost benefit analysis to be undertaken by ENTSO-E before the NC EB enters the Comitology process. ENTSO-E has asked Frontier Economics and Consentec to develop a general methodology for TSOs in relation to the completion of the CBAs envisaged in the NC EB, and a specific methodology for the completion of the CBA for ISP harmonisation. The NC EB requires all TSOs to develop a proposal to harmonise the main features of imbalance settlement, subject to approval by all NRAs. However, the Imbalance Settlement Period duration falls outside this proposal and will be drafted into the final version of the NC EB. ACER has reviewed the draft NC EB and has proposed that the Imbalance Settlement Period duration be harmonised at 15 minutes. ACER also proposes that its recommendation on the Imbalance Settlement Period is assessed by a cost benefit analysis (CBA) to be undertaken by ENTSO-E before the NC EB enters the Comitology process. Following on from the development of the methodologies, ENTSO-E has asked Frontier to support the process of undertaking a CBA of a change in ISP. To secure relevant inputs to the CBA process, ENTSO-E is asking for data from stakeholders across Europe, via a questionnaire. 7 December 10:00 -12:00 (extension possible until 14:00): Stakeholder webconference Q&A. 7 January 10:00 – 12:00 (extension possible until 14:00): Stakeholder webconference Q&A.